Is your property overgrown with tall grasses, weeds, and brush? We at Todd Quality Landscape Services LLC provide excellent brush cutting services to customers in Spring City, Chester Springs, and Limerick. 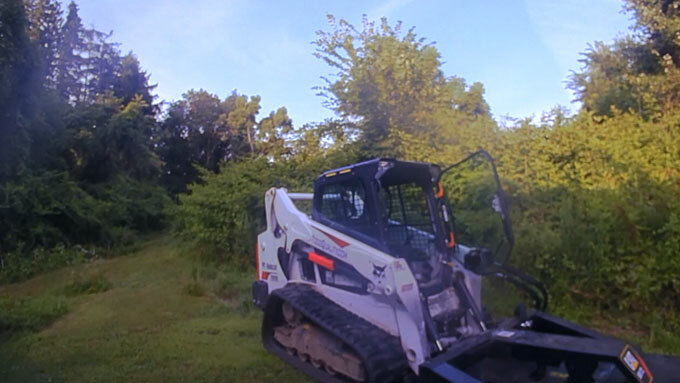 We have also successfully completed a large number of brush clearing projects for clients in and around Malvern, Wayne, Phoenixville, Pottstown and the surrounding cities and towns. No matter what the scale of your woodland thinning, field mowing, brush moving or land clearing requirement, we are the experts that can provide efficient, reliable and professional services. Our company has been operating in this industry for over 20 years and can handle any scale of brush cutting job for our clients. Why Opt For Brush Cutting? Apart from preventing you from using your land optimally, overgrown grass poses a fire hazard. Aside from this, it can also quickly become home to poison ivy and other undesirable plant species. Whether you are looking to clear brush from slopes, remove dense ground cover and overgrowth, our excellent commercial brush clearing services help you take back control of your property. As part of these services, we can also selectively thin trees or even clear areas for fence lines or survey lines. Our local brush cutting experts are qualified and trained to safely and quickly clear your overgrown lots of any size. 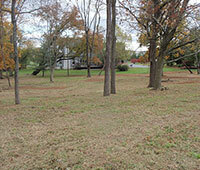 While clearing brush, we can also mulch trees and stumps, so you get land that is completely ready for use. We use the latest commercial-grade, compact brush mowers. These machines are powerful enough to cut through the toughest brush and tall grasses. There are times when some spaces aren’t wide enough to accommodate a tractor attachment but are too wide to clear using a string trimmer. In other situations, the spaces are just too tight to allow for a tractor; a brush cutter becomes the ideal solution for all these settings. The most common uses for a brush cutter are to tend to neglected lawns or even an overgrown field. It can be used to effectively cut grass growing under trees where hard objects and rocks can easily damage finishing mowers. 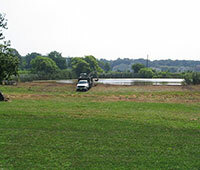 We have also handled numerous brush mowing jobs on sloping land and along banks. These areas are very difficult to tend to, using traditional mowers. If you need tall grass (6” to 8” and above), brush, shrubs, stubborn weeds, or even woody material such as saplings &stalks (1” to 2” thick) our expert residential brush cutting service is the best solution. For professional and efficient brush clearing services, you need look no further than Todd Quality Landscape Services LLC. Feel free to call us at 610-948-6048 and tell us what your requirements are. 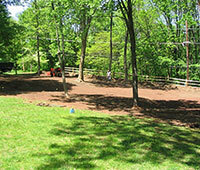 You are assured of the best services at very reasonable brush clearing cost. For more information or to schedule an appointment, please use this Contact Us form.